OSIRIS-REx, the NASA spacecraft analysing the asteroid Bennu, has made a remarkable discovery which upends our existing knowledge of space rock behavior and environment by blasting out inexplicable plumes of dust, RT reported. The never-before-seen phenomenon was first noticed in January and has since been documented at least 11 times. Some of the dust expelled was blown out into the void of space but the remainder was actually captured within Bennu's orbit, falling back down and resting on the asteroid's surface. 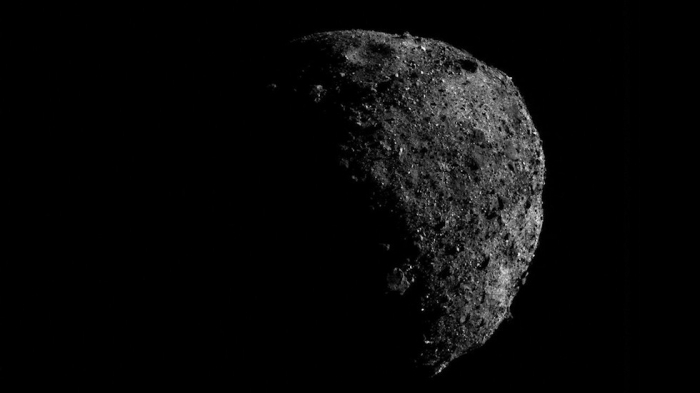 Curiously, however, at least four larger chunks of debris have remained in orbit around Bennu, potentially forming micro moons. At the moment, the eruptions pose more questions than the OSIRIS-REx team have answers. The origin of these plumes and what exactly triggers them remains a mystery. “The discovery of [the] plumes is one of the biggest surprises of my scientific career,” said principal investigator Dante Lauretta of the University of Arizona. The OSIRIS-REx probe arrived in Bennu orbit in December 2018 to study the rock for additional information about the origins of the universe. It is due to collect a rock sample using its extendable arm but the sampling is proving more difficult than anticipated due to the amount of larger boulders on the surface.